Mammographic density (MD), a strong marker of breast cancer risk, is influenced by genetic, environmental, and hormonal factors. Cadmium, a persistent and widespread environmental pollutant, has been associated with risk of breast cancer, and laboratory evidence suggests cadmium is a carcinogen in the breast. We investigated the hypothesis that cadmium exposure is associated with higher MD. In a cross-sectional study of MD and urinary cadmium concentration, percentage MD (MD%) and Breast Imaging-Reporting and Data Systems (BI-RADS®) density category were determined from screening mammograms of 190 premenopausal women ages 40–45 years. Women completed a health questionnaire, and the cadmium content of spot urine samples was measured with inductively coupled plasma mass spectrometry and corrected for urine creatinine. Urinary cadmium concentrations are thought to reflect exposure to cadmium during a period of 20–30 years. Multivariable linear regression and logistic regression were used to estimate the strength of association between urinary cadmium and mammographic breast density. Adjusted mean MD% among women in the upper tertile of creatinine-corrected urinary cadmium was 4.6% higher (95% CI: –2.3 to 11.6%) than in women in the lowest cadmium tertile. Each twofold increase in urinary cadmium was associated with higher odds of MD% in the upper tertile (OR: 1.29, 95% CI: 0.82–2.02) or a BI-RADS category rating of “extremely dense” (OR: 1.75, 95% CI: 1.14–2.70). Stronger associations were observed among nulliparous women, and current or former smokers. 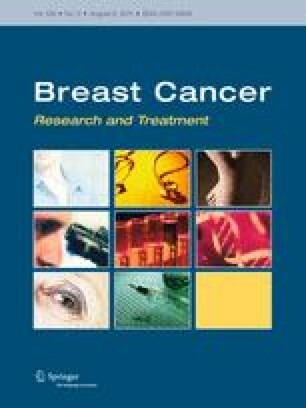 Exposure to cadmium may be associated with increased breast density in premenopausal women. This work supported by NIH R01 CA 097366 (Equol, Breast and Bone study), NIH U01 CA 63731 (Group Health Breast Cancer Screening Program), NIH National Cancer Institute Cancer Prevention Training Grant R25 CA094880 (to SVA), and the Breast Cancer Research Program at the Fred Hutchinson Cancer Research Center, through donation by Safeway, Inc.
Each author declares that he or she has no conflicts of interest related to the content of this paper.